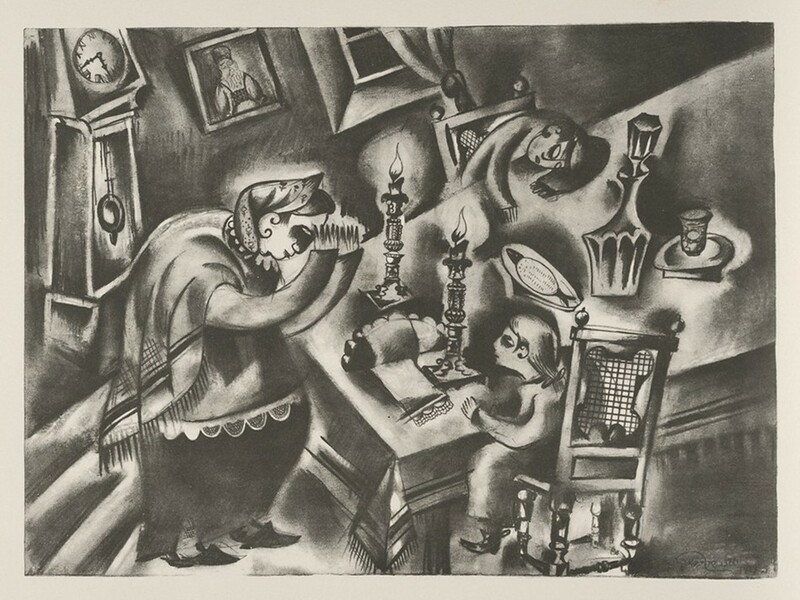 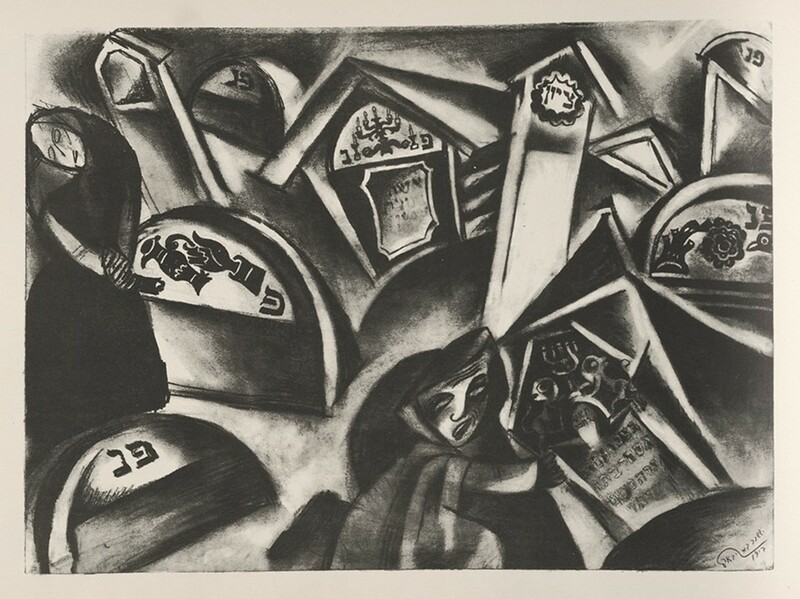 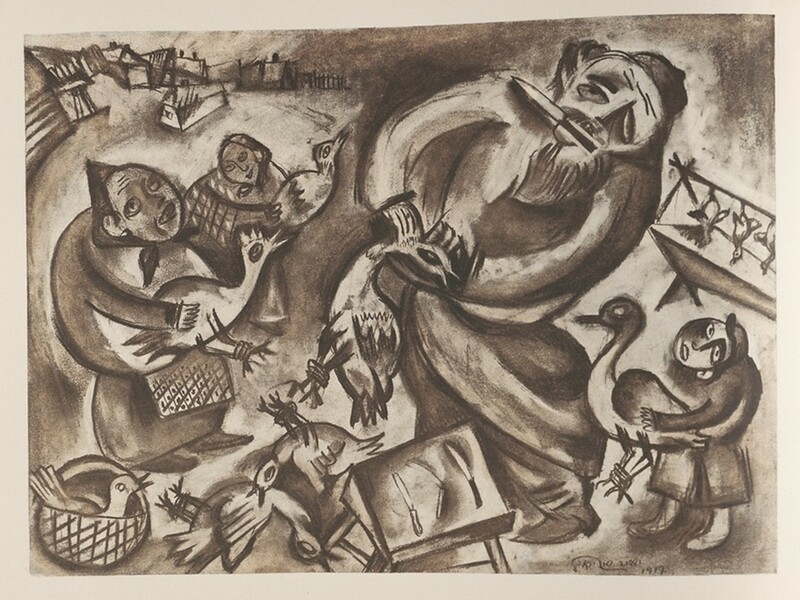 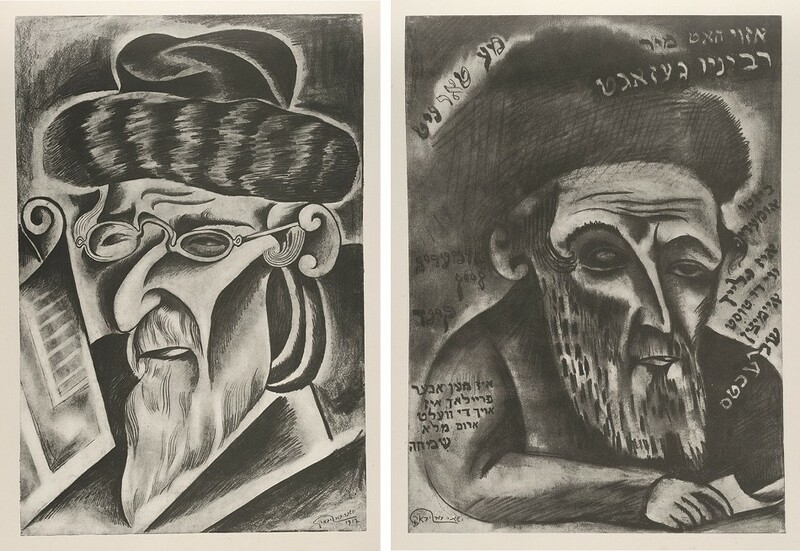 A selection from a set of 30 lithographs by the Russian artist Issachar Ber Ryback, dating mostly from 1917 and published in a book by the Berlin-based “Farlag Shveln”. 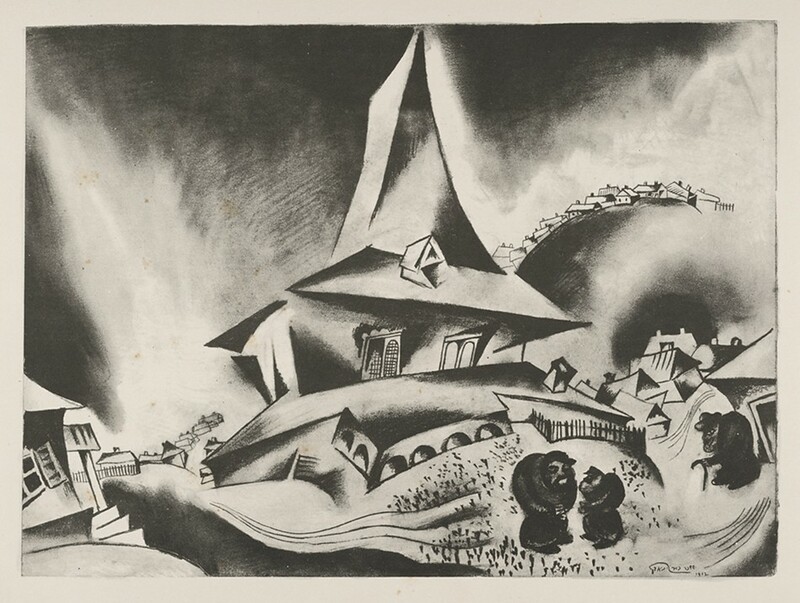 The images depict scenes of Ryback’s home village in Ukraine before it was destroyed in the pogroms following World War I, a fate which seems ominously echoed in the torturous angles and distortions of form in which he represents the daily activities of village life. 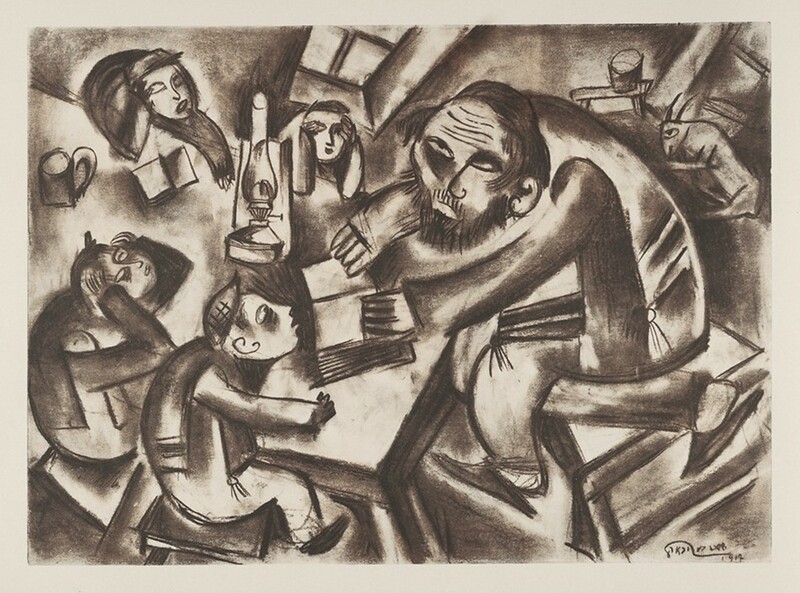 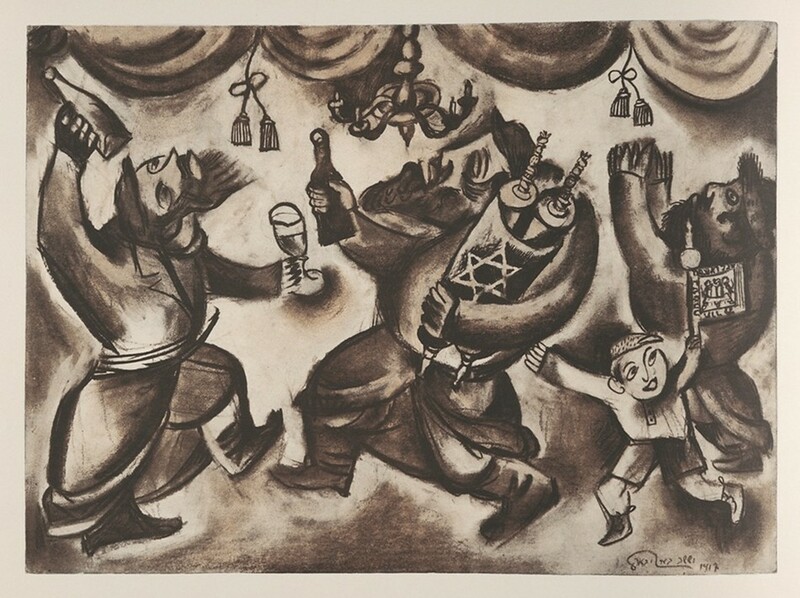 After graduating from art school in Kiev in 1916, Ryback played a key role in the Yiddish avant-garde of the Soviet Union following the Russian Revolution. 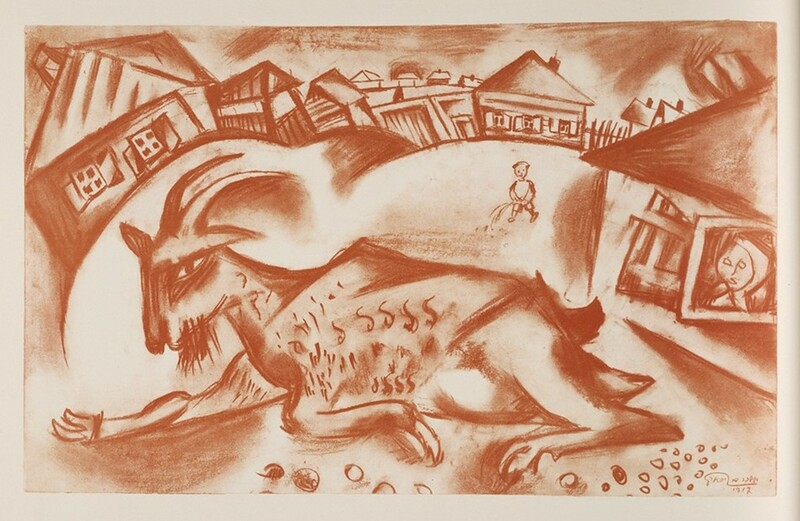 After his father was murdered by Petliura’s soldiers in 1921, he fled to Germany, settling in Berlin where he became a member of the Novembergruppe and was involved in a number of important exhibitions. 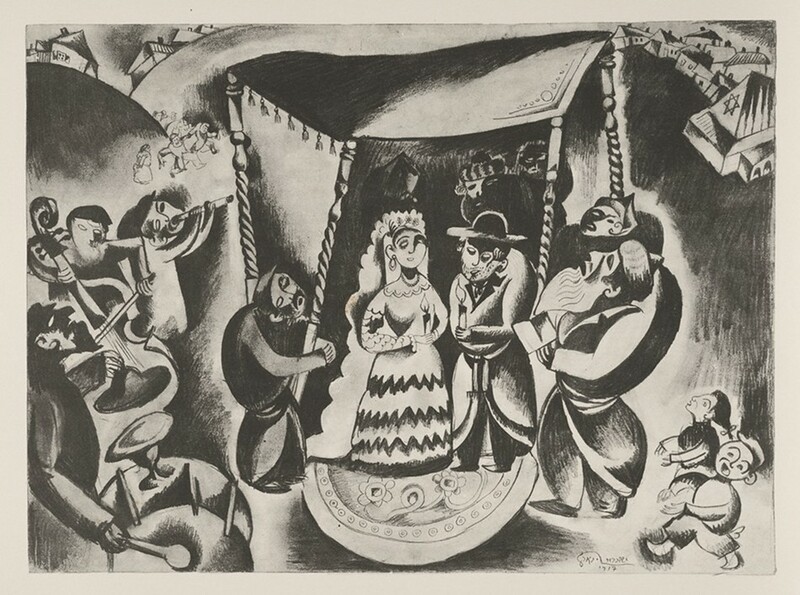 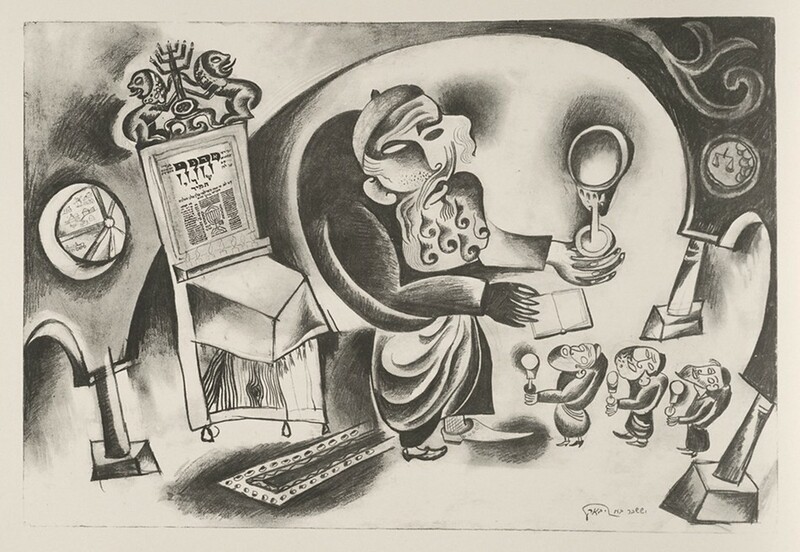 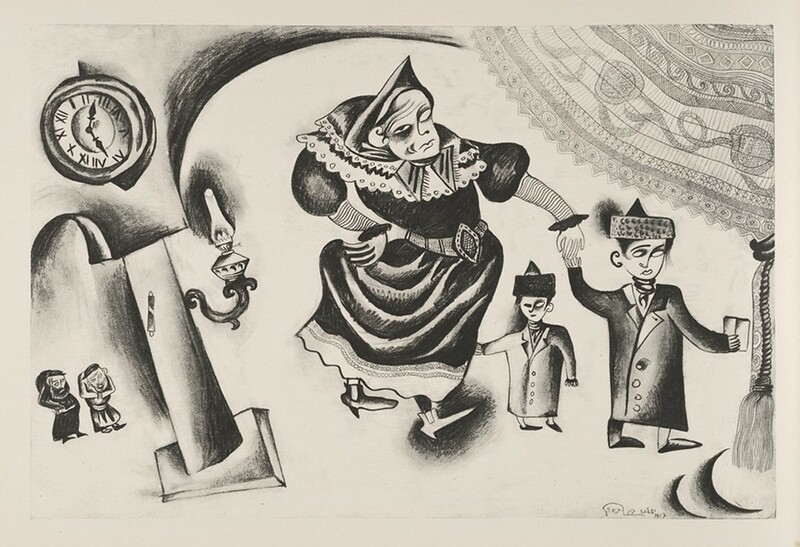 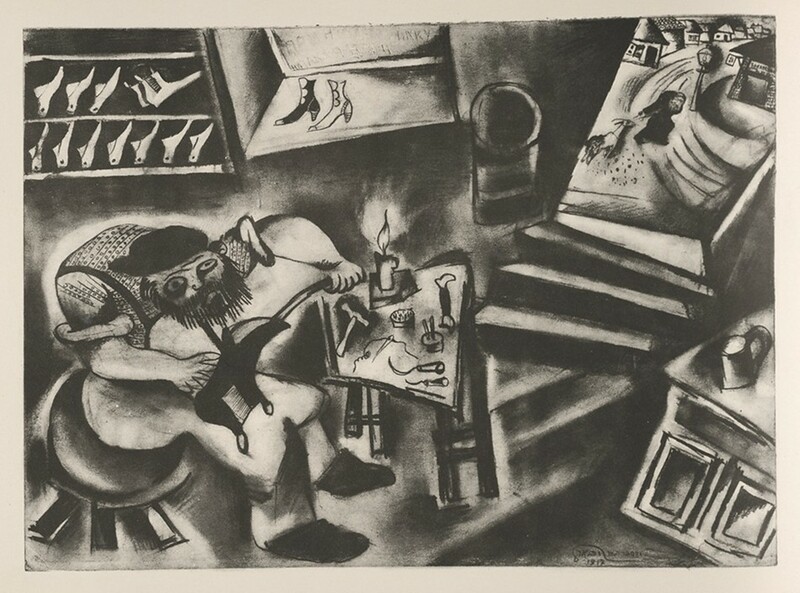 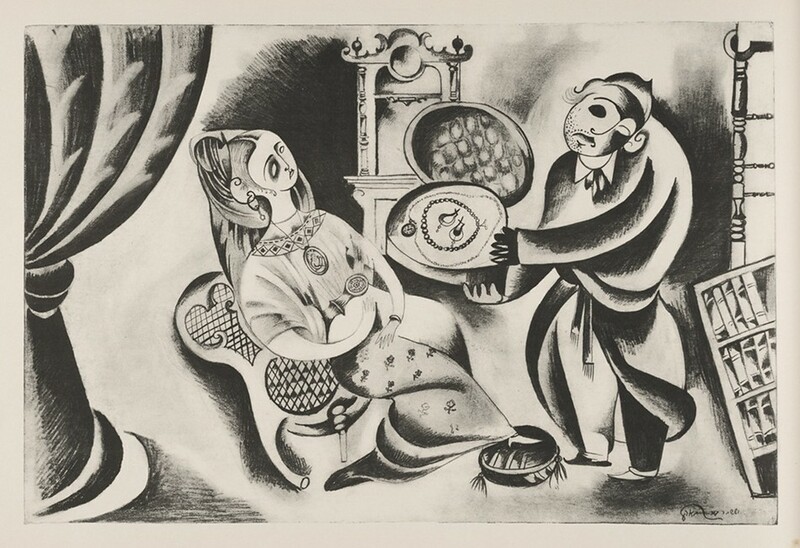 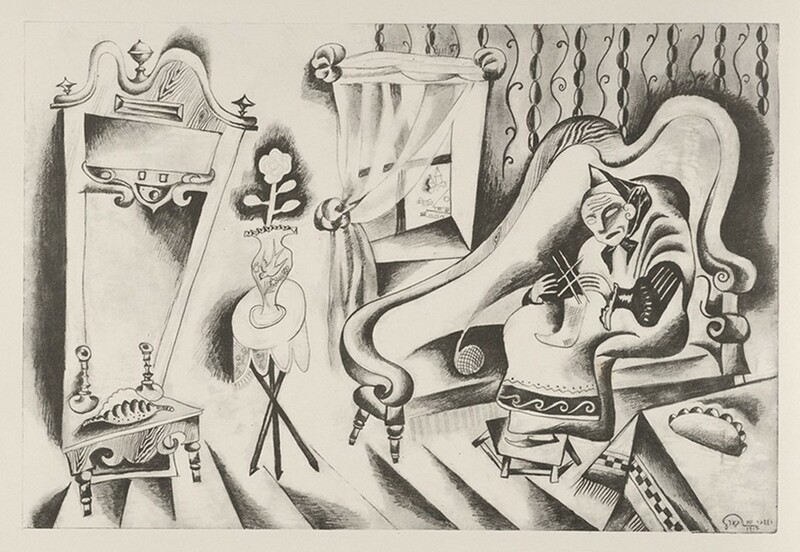 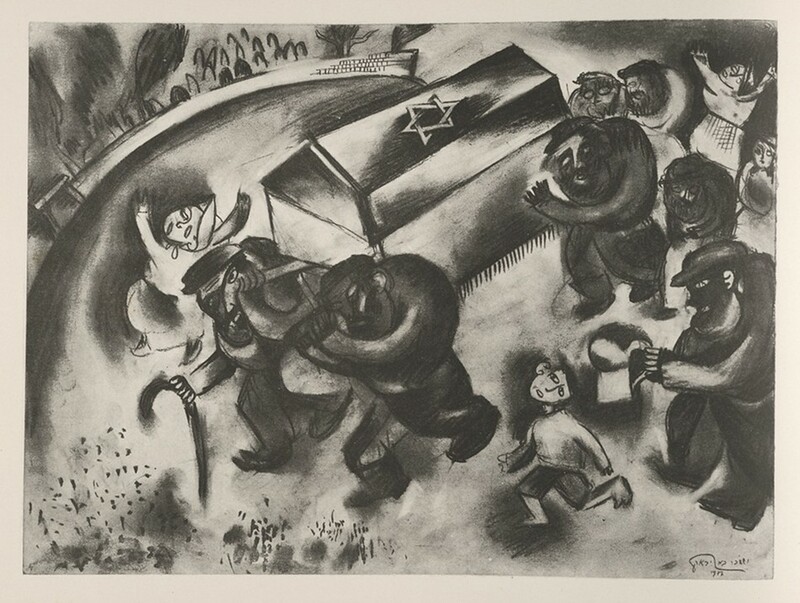 After a return trip to Russia, working on a set design for a Yiddish theatre and undertaking a prolonged journey through the Jewish “kolkhozes” of Ukraine and Crimea, he moved to Paris in 1926. 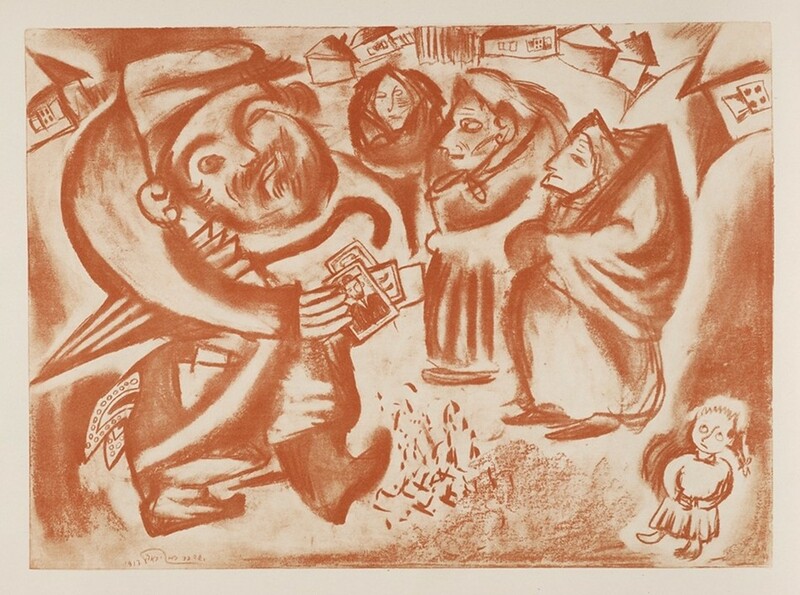 Here he lived at the heart of the city’s vibrant artistic life – including solo exhibitions at the Galerie aux Quatre Chemins (1928) and Galerie L’Art Contemporain (1929) – until his death in 1935.